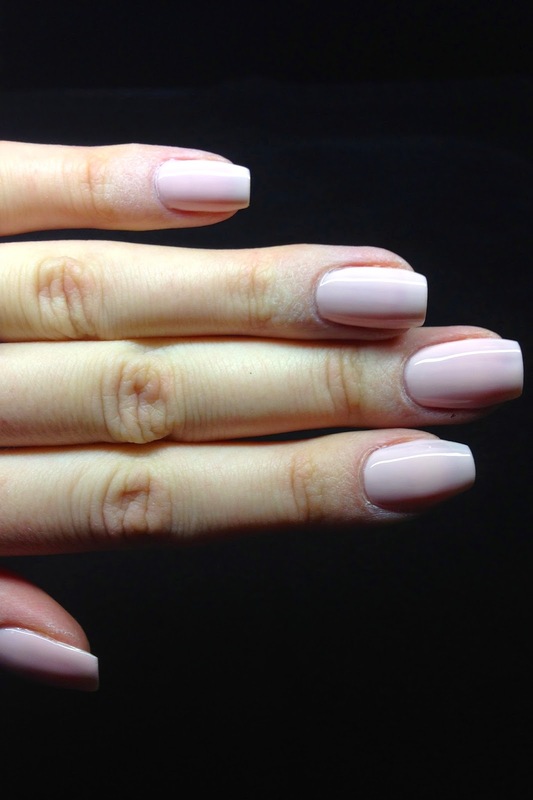 Start with base coat and two coats of Sweet Heart by OPI. 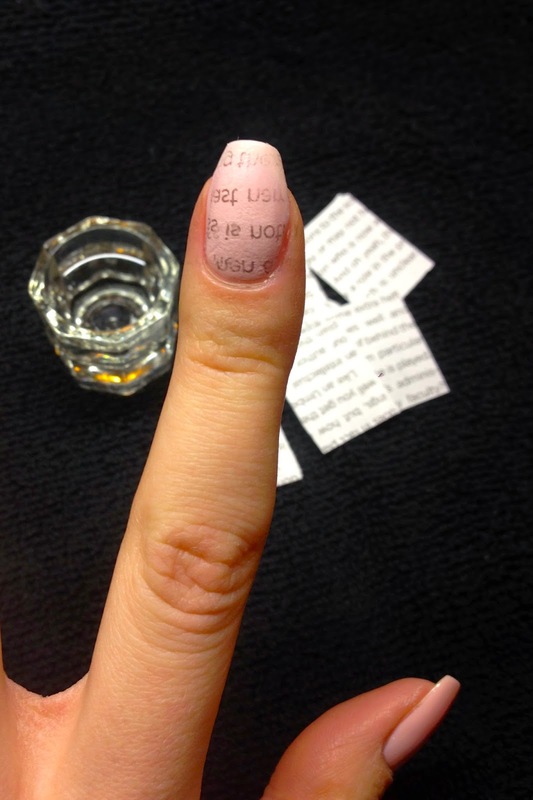 Wait for your nails to dry. 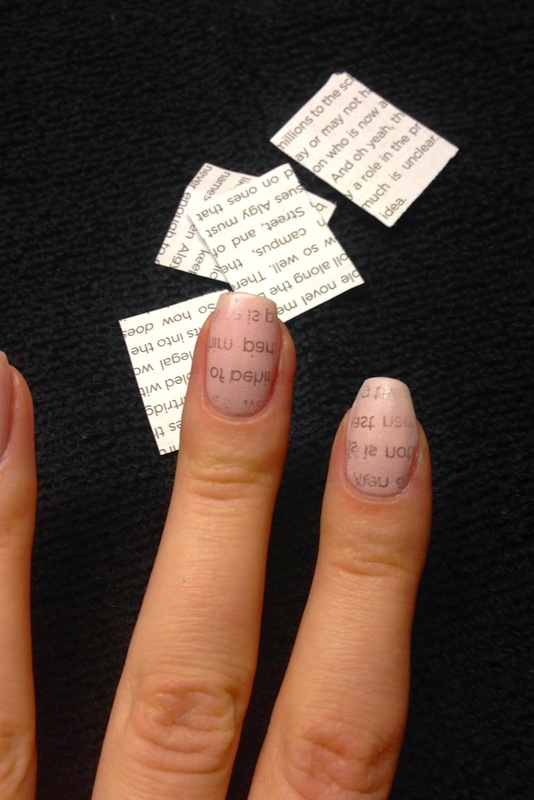 Cut pieces of newspaper (little bigger than your nail). 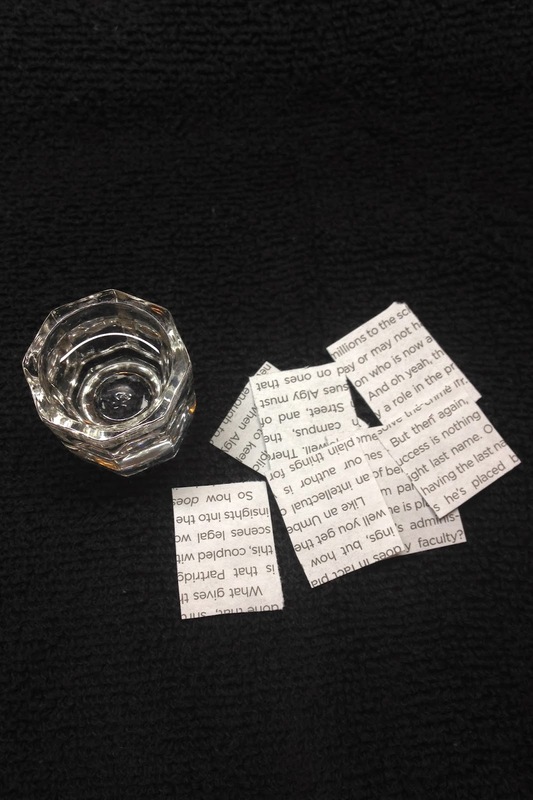 Fill small container with rubbing alcohol. 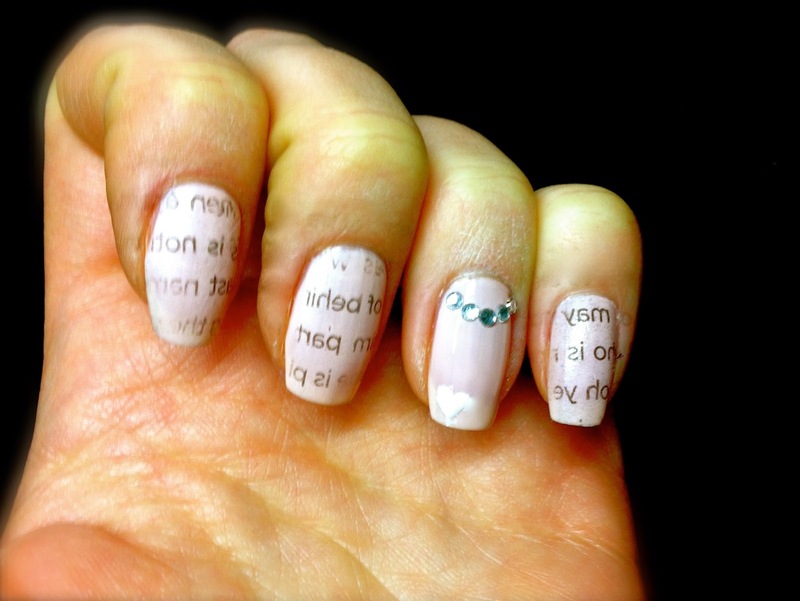 Dip your nail into the rubbing alcohol for 5 seconds, stick piece of newspaper on your nail for a few seconds and peel it off carefully. Repeat the process for each nail. 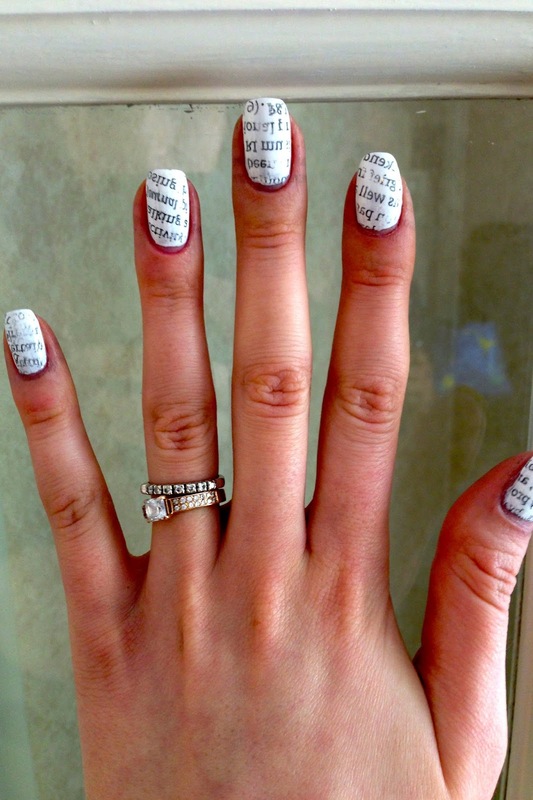 I left my ring finger clean and added rhinestones. Apply top coat and enjoy your nail design.